Everyone loves something that is personalised. Why not create a cup to commemorate your beautiful day, as well as allow the guests to have a little souvenir from your day. 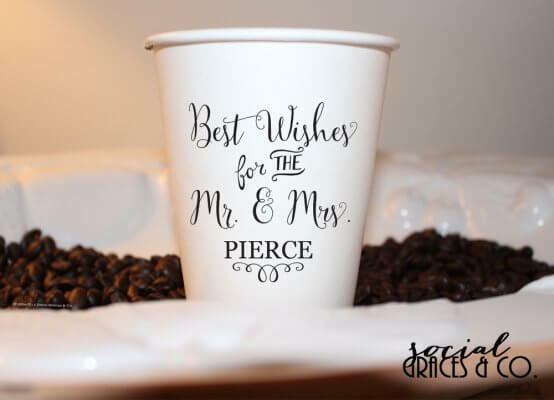 You could perhaps choose flavours and types of coffee that tie in with your overall wedding day theme. 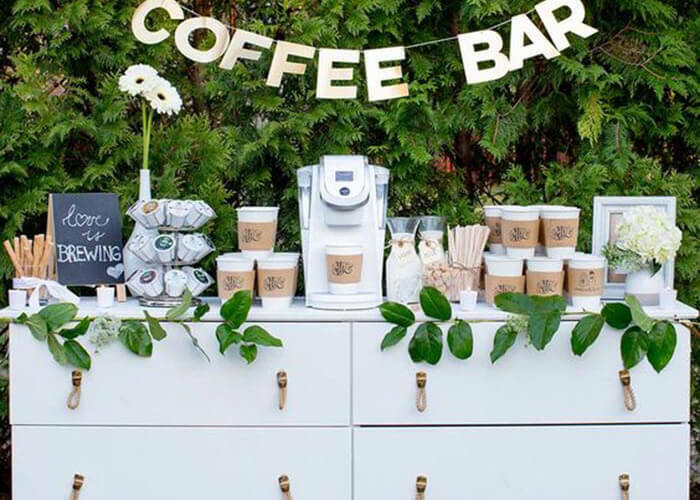 For example: If your wedding is during the winter season – hot coffees such as espressos, cappuccinos or lattes, and perhaps peppermint or pumpkin spice for more fall weddings. Or perhaps you want to emphasise your heritage, so go for around-the-world flavours to represent this, or event the places you are heading to on your honeymoon. 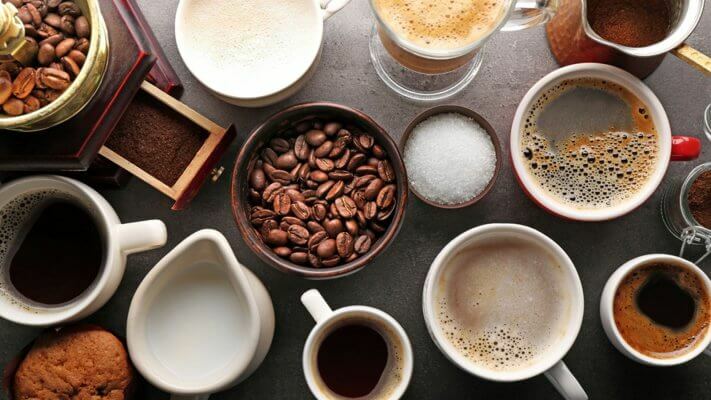 Even if you have plain coffee set up, and then a station where guests can add their own shots of flavour, to personalise their taste. Having a selection of toppings is a fun way to add flavour and fun to you coffee bar. 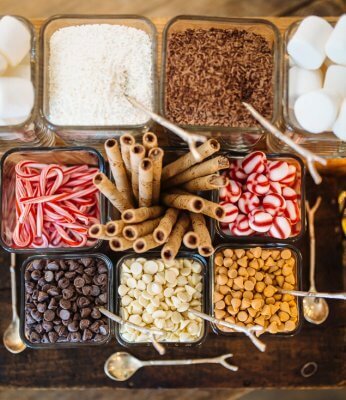 You may opt for crushed peppermints or grated cinnamon or sticks for winter weddings. Every other season options being; whipped cream, sprinkles, chocolate shavings, ice cream for those hot summer weddings, mint, and shots of flavours (such as caramel, hazelnut, coconut, vanilla, amaretto, butter pecan, etc). There are so many different ways to personalise and jazz up your coffee bar. Just be creative and be sure to inject your personality into the design, as that will create a warm feeling, almost as warm as the coffee!